Adorable and sweet pumpkin dog collar! 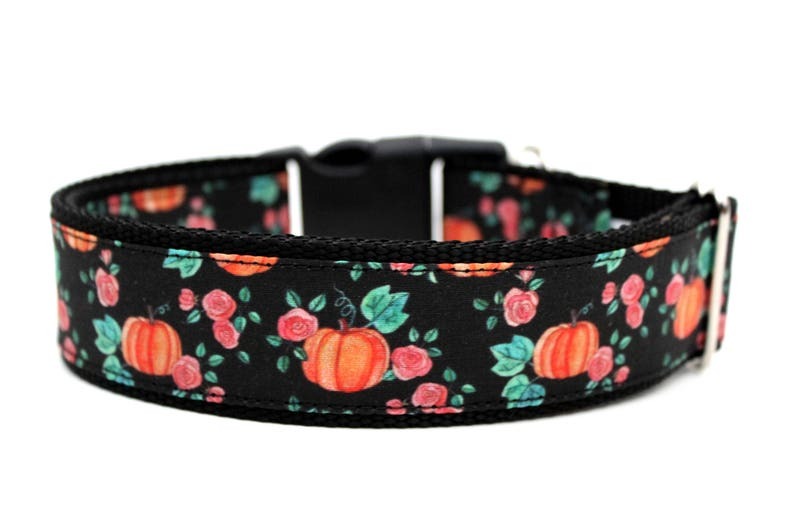 This pumpkin dog collar is made with black nylon webbing, a matching side release buckle, a black background with adorable pumpkins and roses all over! Perfect for all year long! Matching flower add-ons for this pumpkin dog collar are not included but is available for purchase in my shop! Hot pink bow is shown with the 2" collar available in my shop. Please indicate which size you would like...note that all sizes on this fall dog collar have 1" hardware.